Plumbing Leaks, Sewer Back-Ups, Drain Clogs, Sinks, Toilets, ...all jobs, big or small! Do you have a Mill Creek plumber that you can trust? 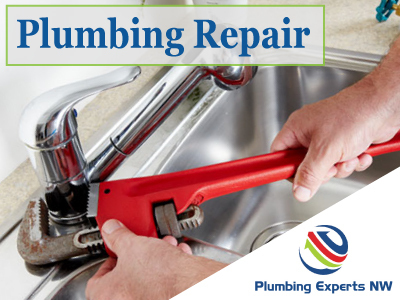 You want a plumbing company that will not only fix the problem you've called them for but on that will inspect your systems and give you options to keep future plumbing problems away. If you don't have a plumber you can trust, it's time to find one! Plumbing Experts NW has been doing the affordable plumbing Mill Creek WA homeowners really can look to for advice and for quality work. These are the plumbers you'll recommend to all your friends and your family. Call on Plumbing Experts day or night, evenings or weekends! We are proud to provide 24/7 emergency service and we don't want you to hesitate whether the problems are big or small. Our friendly and professional plumbing technicians and staff will help with any problem you're experiencing---toilet repair issues, water leaks, water heaters, drain clogs, sewer line worries and much more--just call! Our approach is to be thorough with our examination and then clear with your options for repair or replacements. This approach allows us to remain one of the more affordable plumbers Mill Creek WA families can find. You want real value, which comes with quality work at a reasonable price because you want an affordable plumbing repair company but you don't want a "cheap plumber"--- a low price does you no good if the work is not done well. We do right by our customers and our reviews show that. Experience our level of service for yourself by submitting a contact form (below), OR you might give us a call today at 425-948-7705 for any plumbing issue you are facing. Plumbing Experts NW is creating quite a reputation as the plumber Mill Creek calls upon to deliver expert plumbing service---and also some of the most affordable service---each time we are called out! Awesome Reviews of an Affordable Plumber Mill Creek folks love! Any Mill Creek plumbing issues that arise--we've got it covered. Click to see a complete list, or just call. We'll take care of it! Let's locate those crazy water leaks. Our affordable plumbing experts work to stop all your leaks fast! Sewer lines are tricky, so we use sewer cameras to see exactly what's going on & how to fix your sewer issues in Mill Creek. Water heater repair or replacement. Ask us for tankless water heaters too! Call for anything water heaters in Mill Creek. Clearing clogged drains for Mill Creek residents and businesses alike. Clogs in sinks, toilets, & even main sewer lines. Our affordable plumbing technicians know about your sewer line, clearing it, and sewer repair in Mill Creek WA.